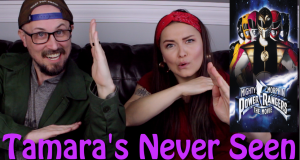 Tamara gives her thoughts on the live action Death Note as well as the anime, on this episode of Tamara’s Never Seen. I barely watch anime. The few times I DO watch anime, I like the bouncy goofy colorful ones so I’ve always stayed away from Death Note in all its forms even if it is good. Death note is one of the top ten best. Based entirely on the plot and how it’s executed. For similar, but more colourful, see “Code Geass.” That is more standard typical anime – got robots and all that. Or mecha or whatever it’s called. “Monster” is also very high quality – the attention to detail elevates it to art. After that? Heaps of schlock of varying quality. I agree. Monster is definitely one she should take a look at! One of the most chilling villains of all time! It’s also got about 15 bazillion worse ones. Death Note is definitely on the top end of Anime in terms of overall quality and popularity. There are a few I like better, but it’s in my top ten. 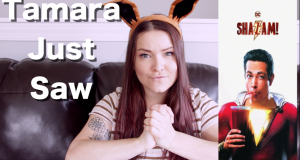 Tamara messed up her experience by watching the live action movie before the Anime. What makes Death Note such a great anime series, is that you are slowly exposed to the rules of both the Death Note and the Shinigami’s intentions. You go deeper into the world of life and death and power with the anti-hero(?) and the detectives trying to figure out what’s going on. Going in with a general outline from a film adaptation will kill a a supernatural suspense thriller like Death Note. Wow. What happened to your audio levels? I had to turn my monitor speakers to MAX just to be able to hear. Generally speaking, live action versions of animated shows do not work well at all. They’re probably even worse in the west. From Trans-Bay-Formers and GI-JOE, Masters of the Universe, Inspector Gadget, to Smurfs…It’s not as bad as video game movies, but that is a really low bar. It’s rare that you get something like the 1990 TMNT movie that was actually better than the cartoon series. Then again, I always understood the 1990 TMNT film to be an adaptation of the comics rather than the cartoon. No Krang; no Technodrome; no Bebop or Rocksteady (Tokka and Razzar don’t count!). 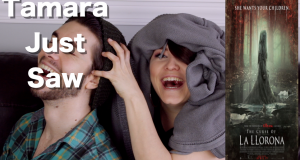 and then the hair flip sound effect at the end was super loud. I am surprised she didn’t get why the girlfriend was given so much more time in the live action on… I am pretty sure what the villain does to her is in the first live action movie, isn’t it? For that to have literally any impact at all, she had to have a much larger presence in the story prior to that. I actually like the three live action movies, dunno why, just enjoy them. I would say the Death Note anime tells the story in the most satisfying way. I like the films for what they are, but they aren’t the best introduction to the world imho. Also I prefer the second film to the first one by far. What?! How could you not like “Death Note”? I love that movie! It’s great with how realistic it is. I have never seen the “Death Note” anime though.